What can I do if there aren't any other Jews around? Question: I live in a town with a small Jewish community, and with no Israelis. I want to celebrate Yom Ha’atzmaut, Israel’s independence day, but I’m not sure what kinds of things I can do. Do you have any ideas? First of all, you can cook and eat. 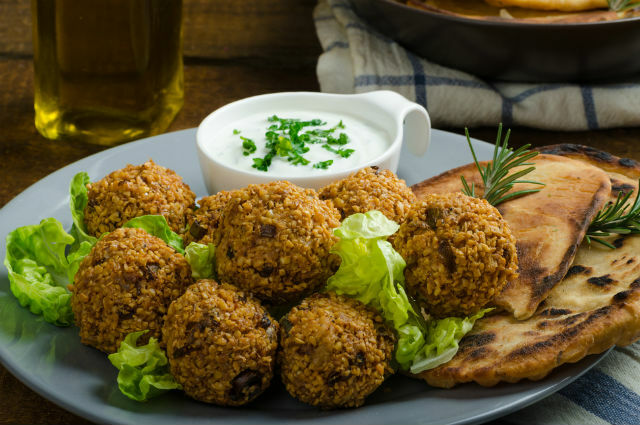 Throughout this website and our The Nosher food blog are lots of recipes for classic Israeli dishes, like falafel, hummus, pita, Israeli salad and borekas. Check out our roundup of the five best Yom Ha’atzmaut foods. One of my favorite things to do on Yom Ha’atzmaut is have a barbecue (or, as Israelis call it, an al ha’esh, Hebrew for “on the fire”). You can serve regular barbecue fare, decorate with Israeli flags and play Israeli music on the stereo. Serve those Israeli foods you just cooked, with an Eretz Yisrael cake for dessert. Those, combined with your basic hot dogs and hamburgers, makes for a feast, and an Israeli cultural experience. Another fun idea is to host an Israeli movie night. There are lots of great Israeli films out there, and you can easily order or stream them online through Amazon or Netflix to show at home. For an even greater selection of Israeli films, check out The Israel Film Center, which boasts an extensive Israeli film database along with hundreds of films (with English subtitles) and TV episodes to stream on demand. Celebrate by yourself, or invite a bunch of friends over and watch together. I recommend Ushpizin (about an ultra-Orthodox couple celebrating Sukkot in Jerusalem) Walk on Water (an intelligence agent in the Israel Defense Forces deals with a difficult mission and falls in love), or Late Marriage (an Israeli man from an immigrant family struggles against his parents’ attempts to arrange his marriage). If you watch in a group, after the movie you can chat about how it affected your guests’ understanding of Israel. And if you don’t want to celebrate Israel’s independence without thinking about ways to end the Israeli-Palestinian conflict, spend the day reading up on the issue. MyJewishLearning has lots of information on this topic as does our partner news site JTA. In fact, browsing through JTA’s searchable archives — which date back to 1922 — is a great way to learn about key moments in Israeli history as they were happening. Or invite some friends over for dinner, and try to have an open conversation about prospects for peace in the Middle East. Incidentally, many award-winning Israeli films and TV shows, including “Arab Labor,” a comedy about an Arab-Israeli family, and “5 Broken Cameras” address this issue head-on — so you could combine a movie screening with a discussion. You may not solve the problem, but it’s a great way to recognize what you hope for in the future. If you’re in the mood for some crafts, you can make your own mizrach sign. A mizrach sign is a wall hanging for the easternmost wall of the Jewish home, reminding us which way to face while praying — toward Jerusalem. Making a mizrach is a nice reminder that Jewish people have always longed for our homeland, wherever we live. The Jewish National Fund’s website has some child-friendly directions for making a mizrach, but feel free to personalize yours however you want. All this talk about Israel is making me crave some falafel. Chag sameach (Happy holiday)! Pronounced: meez-RAKH, Origin: Hebrew for east, refers to a wall hanging designating this direction to help people pray facing east, or toward Jerusalem. 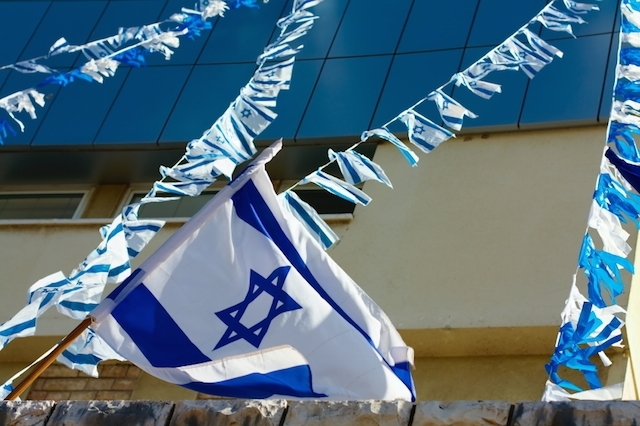 Within Israel and in the greater Jewish world there are differing views as to whether there is a religious nature to Israel's Independence Day. While following a tradition of praying for the government, this prayer has some significant differences. There are a handful of holidays that entered Jewish life in the latter half of the 20th century.